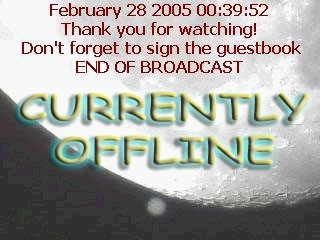 A collection of live astronomy broadcast sites. Visitors can view live images from across the globe with a variety of equipment and targets. Astronomy site with information on many telescopes and accessories. Emphasis is given to the Meade ETX 70 and astrophotography using Autostar Suite and the LPI and DSI Imagers. The site features tutorials, animations, downloads and live web broadcasts.